What’s the secret to choosing the perfect eyeglasses? Once you’ve got the right prescription in hand, it’s time to pick the right frame for your face. How do you choose? There’s some debate over whether face shapes are an accurate metric for choosing the best frames, so we’ll look at a few different aspects that come into play. Face shape is certainly part of the puzzle. Basically, you want to choose frames that complement and balance the shape of your face. A round face is best served by square or rectangular frames, wider than the face, to make it appear slimmer and longer. Oval faces can take just about any frame but typically look best in geometric frames with a strong bridge. Because oval faces are typically symmetrical, it’s best not to throw off the natural balance by choosing frames that are too large. To soften the angularity of a square face, choose oval or round frames, avoiding anything boxy or angular. A diamond-shaped face with delicate features will benefit from frames that are wider than the cheekbones and draw the eye upwards. Good examples of this are cat eye glasses and oval frames. If your face is heart-shaped, choose frames with low-set temples and bottom-heavy lines, or glasses that draw attention away from your forehead, like round frames or square frames with curved edges. Perhaps more important than face shape is the look of your features. No matter what your face shape may be, you can balance sharp, angular features with frames in soft shapes, or offset soft, rounded features with frames that have straight lines. It’s also a good rule of thumb to choose glasses that direct attention away from the most prominent part of your face. Consider color carefully. Most people choose neutral frames because they go with just about everything. However, you can match your frames to your coloring, choosing to complement your eye or hair color or skin tone. Eyes: If you need a professional look, choose neutral, subdued tones. If you’re going for a fun, casual look, choose a complementary color to make your eyes pop. For blue eyes, that could mean orange tones, tortoiseshell or brown. To make brown or amber eyes stand out, choose a bold color like green or blue. Gray eyes look great with a brightly colored frame, and green eyes look good with earth tones or a bold purple or gold. Hair: With black hair, darker frames typically work well, in tones that complement your undertones. White or gray hair gives you the freedom to play around with just about any color, and red hair allows for bold colors, as long as the color isn’t red. If you have warm undertones in your blond or brown hair, you’ll probably look good in tortoiseshell frames, while pastels work well for cool undertones. Skin: Cool undertones call for cool colors, warm undertones look best with warm colors, and if your undertones are neutral you can wear just about any color. It’s perfectly acceptable to let your style overrule the rules. Your glasses can help express your personality, enhance your personal style, or provide functionality to match your lifestyle. As long as they fit properly and make you feel confident, feel free to choose any frames you like. 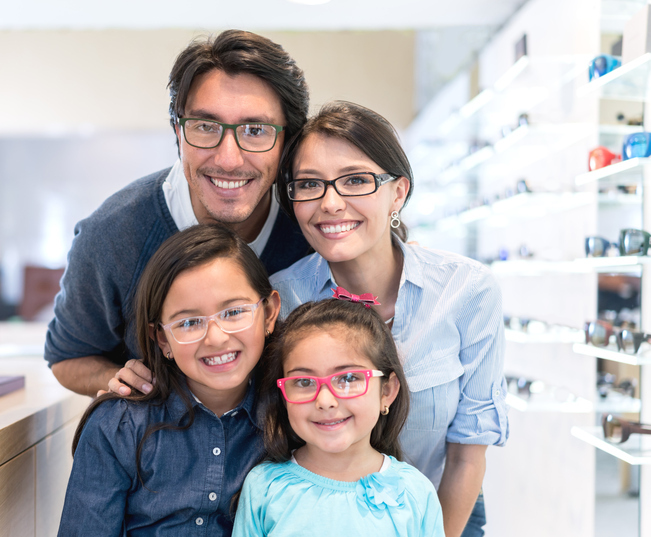 Before you start shopping for the best frames, it’s important to know your prescription is up to date and you’re choosing the right lenses. The right prescription requires the right eye doctor, and the Gerstein Eye Institute in Chicago can help. Since 1968, the Gerstein Eye Institute has been providing exceptional ophthalmologic care to patients in the Chicago area. With decades of experience in ophthalmology, our certified professional staff members work hard to provide the kind of personalized care that keeps patients coming back year after year, eventually entrusting the eye health of their children and grandchildren to us as well. To schedule an appointment, call us at 773.596.9545 or contact us through our website. When you’re picking eyeglasses, you’re probably thinking about the frames. 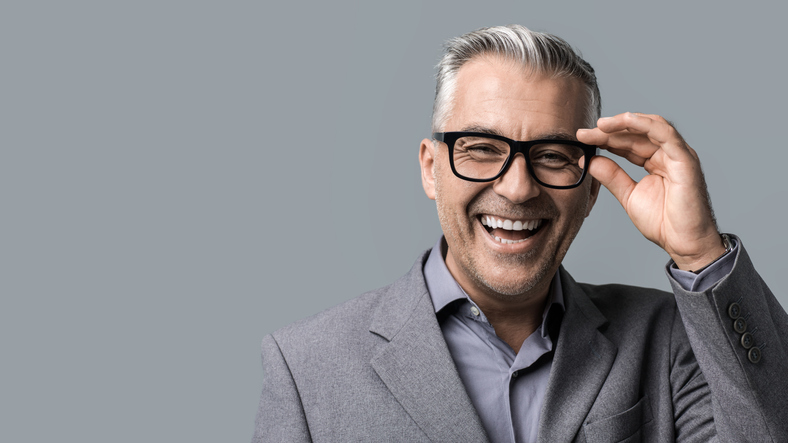 This makes sense because eyeglasses act as an accessory as well as improving your vision, and the frames are what anyone looking at you will notice. However, the lenses are actually the most important part of the glasses. Do you know the difference in the different types of lenses? Glass glasses are largely a thing of the past. While glass was the only choice in the early days of vision correction, it poses a few problems. Glass lenses are effective at improving vision, but they’re heavy and easy to break. Today, technology has improved and given us many more options, so glass is no longer widely used for lenses. Plastic lenses have been in use since 1947. The first lightweight plastic eyeglass lenses were made of a plastic polymer called CR-39, and this kind of plastic is still a popular option for lenses today. Polycarbonate lenses came on the scene in the 1970s. This material was originally developed for Air Force helmet visors, as well as “bulletproof glass” used in locations like banks. It’s lighter and much more impact-resistant than CR-39 plastic, and it’s often used in children’s eyewear, safety glasses, and sports eyewear. Another benefit of polycarbonate lenses is that they have built-in UV protection. Trivex is a newer material similar to polycarbonate. This material also has impact-resistant properties but has the advantage of a higher Abbe value. The Abbe value of a lens material measures how widely the lens disperses different wavelengths of light. Lenses with a low Abbe value can have problems like colored halos, while a higher Abbe value means better optical quality. High-index plastic lenses are thin and lightweight. They have a higher index of refraction than CR-39, which means they refract light more effectively. You can choose high-index plastic lenses even if you need a strong prescription. No matter what kind of lenses you choose, there are coatings that can be applied to cause them to function more efficiently. Anti-reflective coating: This coating helps with glare, reflections, and halos around light. This kind of coating makes lenses nearly invisible, for better eye contact, and it improves contrast and clarity, especially at night. Anti-scratch coating: Lightweight eyeglass lens materials are softer and more likely to be scratched than glass lenses. Anti-scratch coating, however, makes them nearly as scratch-resistant as glass. UV-blocking treatment: Perhaps the most important coating, this protects your eyes from UV rays, which can cause problems like macular degeneration and cataracts. Polycarbonate and most high-index plastic lenses have 100 percent UV protection built in, but CR-39 lenses need an additional coating. When choosing the right lenses, it’s important to get the advice of your eye doctor. If you are looking for an eye doctor, the Gerstein Eye Institute in Chicago can help. Since 1968, the Gerstein Eye Institute has been providing exceptional ophthalmologic care to patients in the Chicago area. With decades of experience in ophthalmology, our certified professional staff members work hard to provide the kind of personalized care that keeps patients coming back year after year, eventually entrusting the eye health of their children and grandchildren to us as well. To schedule an appointment, call us at 773.596.9545 or contact us through our website. If you have prescription eyeglasses, no one has to tell you that they’re a big investment. You spend time and money on these lenses to improve your vision, and it’s important to make sure they’re sparkling clean so that you can really see through them. What’s more, you’ll want to make sure you’re caring for them properly, to avoid damaging those precious specs. If you’re out and about, use a cloth specifically made to clean eyeglasses. A microfiber cloth is a good choice, and so are pre-moistened cloths especially formulated for glasses. When you’re home, spend a little more time cleaning them. Spray the lens with cleaning solution and wipe with a microfiber cloth. Never wipe them with a paper towel or article of clothing, because these materials can be abrasive and scratch the lenses. Let them air dry before putting them back on. For deep cleaning, use tap water, and cleaning solution. First, rinse the eyeglasses in lukewarm to warm tap water, and then use a gentle cleaning solution, free of lotion, to wash the lenses, using only a few drops so that you don’t leave soap residue on the lenses. Rinse, looking for missed spots, and if the glasses still look dirty, repeat the process. Once they’re clean, use a lint-free towel to remove most of the water, and then allow them to air dry. Don’t wear your glasses on top of your head. Instead, take them off and put them in their case. Wearing them on the top of your head can stretch them out because that area is typically wider than your face. Put your glasses on and take them off with both hands. Using only one hand can throw off their alignment and change the way they fit. Never push on the nose piece. If your glasses slip down your nose, push them up on either side rather than pushing on the nose piece. If you’re wearing wire glasses, pressure on the nose piece can distort it. Keep your glasses in a hard case that’s the right size for them. Get into the habit of putting them in the case each time you take them off. Have a backup case. It’s important to have a case with you if you forget your primary case, or if it is damaged. Use a glasses cord instead of a pocket. Putting your glasses in your pocket or hanging them from the neck of your shirt can warp them. Invest in a cord, to keep them safely around your neck. Never put your glasses anywhere hazardous. Don’t put them into a bag without first putting them in their case, don’t leave them in a hot car, and never put them close to a sink or vanity where they could get splashed with something corrosive. Store your glasses lenses up. If the lenses face down in the case, the glasses are likely to become scratched. Mind the screws. Keep an eye on the little screws that hold your frame together, tightening them if they become loose. If you are looking for an eye doctor, the Gerstein Eye Institute in Chicago can help. Since 1968, the Gerstein Eye Institute has been providing exceptional ophthalmologic care to patients in the Chicago area. With decades of experience in ophthalmology, our certified professional staff members have together performed over 30,000 procedures. To schedule a consultation, call us at 773.596.9545 or contact us through our website.